LISTEN, my heart takes place in a cinema—a room with no windows, a room dedicated to a magic screen. Tonight, these screens are dark, and we bring to you the sounds of the world outside. This is a cinema for the ear. The history of art and architecture is intimately tied to a history of windows. The earliest windows were simply holes in the wall or ceiling, which permitted light, smoke, and air to pass between inside and outside. In the Classical Age, windows became screens; the translucent alabaster windows of the Mediterranean and paper windows of the East illuminated a new private realm indoors. While the lattice-work Shanasheels of medieval Mesopotamia permitted women to peek out onto the street without being seen themselves, it was the invention of transparent plate glass that transformed the window into a vantage point. 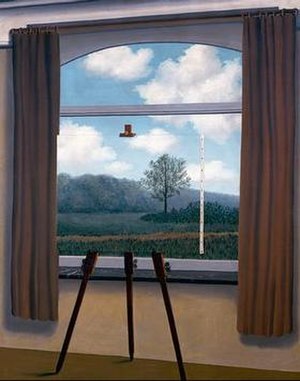 Magritte’s “painting of a painting” represents the window not only as a vantage point, but as a point of transition, bringing Alberti’s window to its logical conclusion. 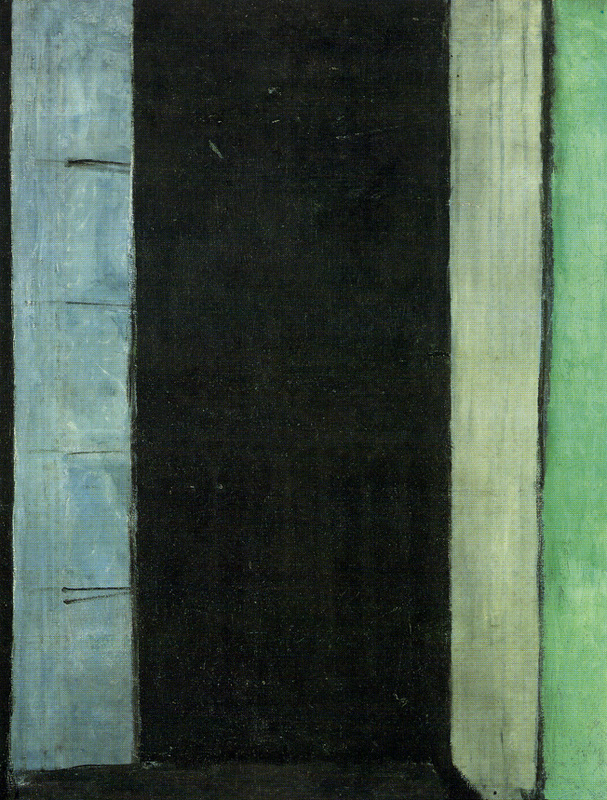 By contrast, in Open Window, Collioure (1914) by Henri Matisse, vantage is abandoned altogether: there is nothing to see at allbut the blackness of night. The viewer can only imagine the sights and sounds outside. Like the window in Tagore’s poem, it becomes a place for listening—to songs, rustles, noises, silence. PUT out the lamp when thou wishest. I shall know thy darkness and shall love it. A decade later, the Nickelodeon opened in Pittsburgh, Pennsylvania: the first theater that exclusively presented motion pictures. It played short films for a “nickel” (five cents) and was soon replicated throughout the United States. The cinema hall was born. 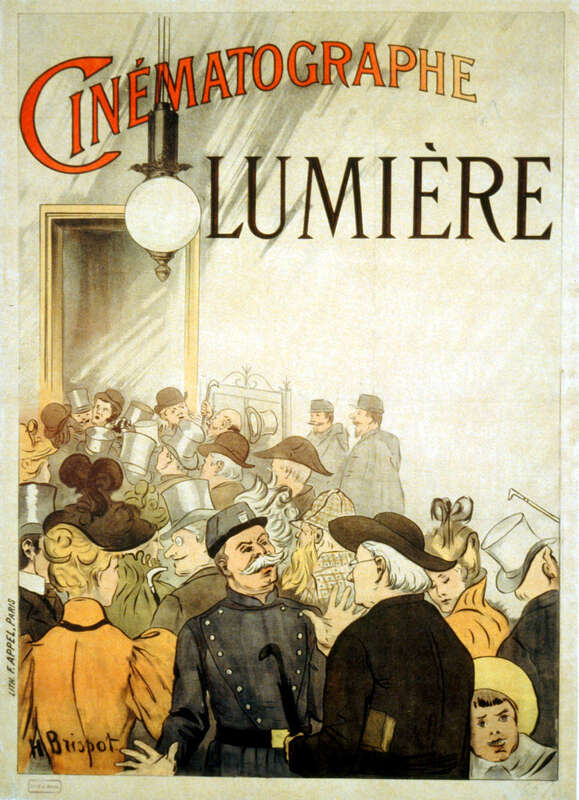 Early cinemas had a simple layout, with central corridors and seats facing a frontal screen, and the films they played were silent and short. Cinema architecture—what little there was—aimed to bring as many people as possible in to see the screen.The development of sound films or “talkies” in the 1920s transformed this place for seeing into a place for experiencing. Massive theaters featuring elaborate modern designs, luxurious interiors, giant screens and theater boxes—epitomized by the 6200 seat Roxy Theater in Manhattan—were built in cities around the world. Major motion picture studios financed and built these early movie palaces, such as the Metro Cinema, built by MGM in Bombay, which opened in 1933 and became the famous “Red Carpet Cinema” of Bollywood. In traditional European opera houses and music halls, rooms were resonant: architecture magnified the voices of singers, instruments, and the audience. The cinema hall required new acoustics: architecture would now cancel sounds, so that audiences could cleanly hear the recorded soundtrack. The adoption of standards for film-sound recording and playback in the 1930s and developments in sound recording and transmission during World War II spurred further acoustic distillation. Beginning with Disney’s Fantasia, released at the outbreak of the war in 1940, which required its own custom sound system developed specifically for the movie, cinema sound would develop both new dynamic range and depth of immersion. The development of Dolby Stereo in the 1970s introduced a degree of control for directors and sound designers from the studio to playback in the cinema hall. Dolby Stereo’s four-channels of Left, Right, Center (dialogue) and Rear (effects, ambiance) would be quickly adopted around the world following the box-office success of George Lucas’s Star Wars in 1977. In the 1990s, Dolby Digital enabled encoding of 5.1 surround sound, or Left, Left Surround, Right, Right Surround, Center (dialogue) and Low Frequency Effects (bass). This arrangement provided full spatialization and even broader dynamic range. 1942: A Love Story (1994) was the first Bollywood production with Dolby Digital sound, which soon became the world standard. Modern cinemas have become exquisite places to not only watch, but to also listen. They have become the perfect concert halls for this century of electronic instruments and synthesis, digital sound recording and telepresence. Sound recording, or phonography, has advanced tremendously since its twin invention by Thomas Edison and Charles Cros in 1877. In 1969, Alvin Lucier produced I am sitting a room, a recording equal in significance to Magritte’s The Human Condition, a “recording of recording,” exposing the nature of recording itself and transcending sound as representation. While tremendous technical advances have been made in recording and signal processing, recording has opened up a theoretical abyss: we do not yet know what recordings are and have not digested how recording has transformed music and memory. Prior to the invention of recording, the repetition of music depended upon the embodied memory of the musician or upon the reduction of all sound into scales of tones and notation of tones. Recording altered the status of sound, turning ephemeral impressions into a thing—an artistic material released from both disappearance and from the requirements of tonality. Recording made possible the emergence of a sound art. A collection of seminal sound themed art exhibitions at the turn of the millennium drew the branches of this tradition together as sound art, beginning with Sound as Media at the ICC Tokyo and Sonic Boom at the Hayward Gallery in London, both in 2000. These were quickly followed by Sonic Process at the MACBA and Centre Pompidou in 2002; the sound-focused 2002 Whitney Biennial; and Sounding Spaces at the ICC Tokyo in 2003. From Sound Art at ART Cologne in 2004 to Sound Art. Sound as a Medium of Art at ZKM in Karlsruhe in 2012, foundations and genealogies for a new art have been laid. Listen, my heart…, a collection of soundscapes presented as cinema for the ear, integrates two important trajectories of this new art: acoustic ecology and cinema pour l’oreille. For this exhibition, we sought works which represent the unique soundscapes—urban, rural and media-based—of the Indian subcontinent, and which also demonstrate high-quality spatialization (diffusion) and play with the conventional experience of movie-going. “Soundscape” is a double-term, like landscape, that means both the world of sound around us and a composition that represents that audible world. It is both the subject, and the compositional form, of acoustic ecology. Acoustic ecology is the study of the relationship between living beings and their environment mediated through sound. Acoustic ecology emerged in Canada from the work of R. Murray Schafer and his collaborators at the World Soundscape Project. The concept of soundscape composition may have emerged in 1930 when German film-maker Walter Ruttman produced a recording called Weekend, a collage of words, musical fragments and ambient recordings which tells the story of a weekend trip to the countryside. This “movie without images” produced a “narrative based on the mental images projected by the sounds alone”5 and was, in other words, the first cinema for the ear. Soviet film-maker Dziga Vertov followed the next year with Enthusiasm, the most ambitious field-recordingwork of its time. In the 1990s, cinema pour l’oreille emerged as a Francophone tradition rooted in the work of Pierre Schaeffer and the Groupe de recherches musicales; the pioneering tape-compositions of Luc Ferrari; the acousmatic music of Francis Dhomont and Robert Normandeau; and the audio work of Michel Chion. Prioritizing multi-channel audiodiffusion and Pierre Schaeffer’s concept of reduced listening, cinema pour l’oreille has, with the notable exception of Ferrari, avoided or rejected representation. The attitude of reduced listening focuses on sound itself independent of the source or meaning of the recording. THE mystery of creation is like the darkness of night–it is great. The cinema screen is a window for shared dreams. Our soundscape program begins high in the Himalayas, at the sacred shrine of Muktinath, with its one hundred springs of water.7 From Himalayan peaks, the water of the Yamuna flows to the plains. Listeners can slowly follow the waters in Iain Armstrong’s recording, or hop on a train in Ujjwal Utkarsh’s Yatra, jumping off at the RAQS‘ New Delhi Junction. If they are stuck in Delhi traffic, Michael Northam‘s AGGREGATES will transform the noise. Budhaditya Chattopadhyay’s Sonic City transports listeners to an abstracted city of sound. And diFfuSed Beats folds the sounds of Delhi into the streets of Zurich over a rhythmic beat in search of the ur-sound of an ur-city without border guards or police. Finally, Kamal Swaroop provides a whole new experience of movie-going, a chance for the audience to remember the pictures of his masterpiece Om Dar-Ba-Dar, or to imagine a new film in their mind. 1 Rabindranath Tagore, Stray Birds (New York: The Macmillan Company, 1916). Translated from Bengali to English by the author. All quotes are from this source unless otherwise attributed. 2 See Joseph Masheck, “Alberti’s ‘Window’: Art-Historiographic Notes on an Antimodernist Misprision,” Art Journal 50, no. 1 (Spring 1991): 34-41. 3 René Magritte, letter to A. Chavee, September 30, 1960. 4 Michel Chion, Audio-Vision: Sound on Screen, ed. and trans. by Claudia Gorbman (New York: Columbia University Press, 1994), 100. 5 Eduardo Kac, “Aspects of the Aesthetics of Telecommunications,” in Siggraph Visual Preceedings, ed. John Grimes and Gray Lorig (New York: ACM, 1992). 7 As Murray Schafer has written, the first sound heard is “the caress of the waters.” R. Murray Schafer, The Soundscape: Our Sonic Environment and the Tuning of the World (Rochester, VT: Destiny Books, 1993). Good luck in New Delhi!